Continuous positive airway pressure (CPAP) machines can improve sleep and reduce health risks for people with moderate to severe obstructive sleep apnea (OSA) and other breathing problems. All positive airway pressure machines have the same basic structure and function, but some have variations that make them more suitable for individual needs and preferences. The basic continuous positive airway pressure (CPAP) machine delivers a constant flow of pressurized air to the nasal passages and throat. This keeps the airways open when a vulnerable person breathes in. A hose brings the air from the machine to a face mask or a nasal device a person wears during sleep. Home CPAP machines reduce the health risks of someone who stops breathing while sleeping because of o​bstructed airways. Positive airway pressure machines vary in how they deliver the pressurized air to suit a person's sleep apnea and personal needs. Fixed-pressure CPAP machine: A basic fixed-pressure CPAP machine starts and continues with the same prescribed positive pressure setting all night. Other CPAP machines have an adjustable pressure ramp-up feature, which starts with a low pressure and slowly increases to the prescribed fixed level. This can help a user who finds it difficult to adapt to breathing with pressurized air, or one who doesn't fall asleep quickly. Automatic Positive Airway Pressure (APAP) machine: Instead of forcing air at a continuous set pressure, the APAP machine senses the state of the airway and automatically adjusts the pressure as necessary to make sure the airway stays open. This benefits a person whose airway needs changing pressures to stay open during the night. Bilevel Positive Airway Pressure (BPAP) m​achine: Also called a BiLevel or VPAP (variable positive airway pressure), the BPAP machine delivers air at a high pressure for inhaling and a low pressure for exhaling. This benefits people who need the higher pressure to keep their airway open on inhaling but a lower one to exhale. 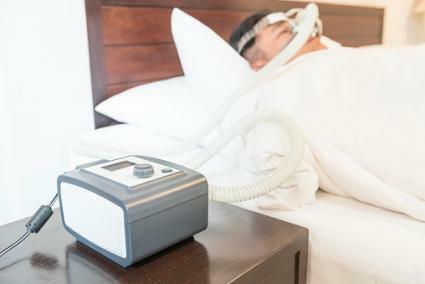 A sleep specialist prescribes the type of CPAP machine and best air pressure setting based on a person's evaluation, sleep study, and CPAP pressure testing. A respiratory therapist helps the user select a machine and CPAP supplies that serve his prescription and preferences best. This makes it more likely that a person will stick with his CPAP therapy. When selecting a CPAP machine try several before you buy one. You may be able to rent and try a machine for a month or so before you decide to buy. You can buy brand of CPAP machine from a manufacturer or through a website, such as directhomemedica​l.com or cpap.com. The machines and supplies can be expensive, so check with your health insurance first to see if they cover the cost. 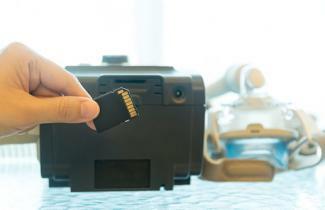 Medicare Part B covers the cost of ​CPAP machines and supplies. Philips Respironics is one of the leading brands of CPAP machines and variations, including APAP and BPAP devices. Machines are small, portable, quiet, and fitted with flexible tubing. You can order on their website, where they also provide helpful customer support, or from online supply sites. Philips Respironics has CPAP machines with C-Flex or A-Flex technology that provide expiration pressure relief, as well machines that ramp up to the prescribed pressure setting. The devices include a data recorder for analyzing sleep quality. You can add an optional humidifier to your machine. 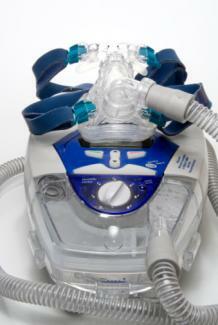 ResMed provides small, quiet, and portable CPAP machines and supplies as well. Variations include APAP, pressure ramp-up, and expiration pressure relief (EPR™) devices. They also have machines designed for women. All of ResMed's devices include built-in, heated humidifier and sleep data recording technology. You cannot order directly from the company but can order online from supply websites. As with Philips Respironics and ResMed, Somnetics International, makes small, portable CPAP machines. They advertise themselves as making the smallest CPAP devices in the world. Options include APAP and air pressure relief technology. Somnetics International's machines include a humidifier and sleep recording technology, which can be shared via the cloud with your healthcare team. An advantage over other brands is that the devices have two portable power options, a solar-powered battery charger and a DC power adaptor. Breathing difficulties and sleep apnea can disturb your sleep and increase your risk for health problems. Speak with your doctor about an evaluation and how CPAP machines can improve your situation and your risks.